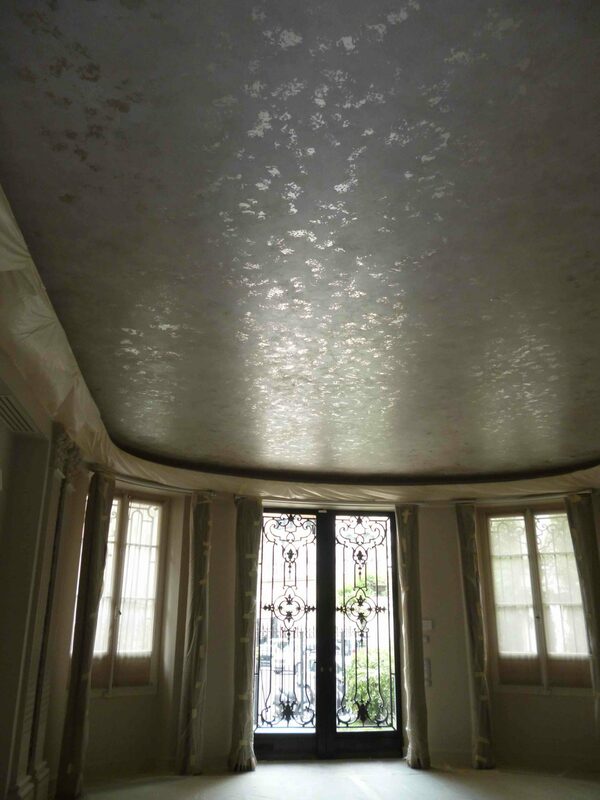 Silver leaf and silver paint enrich both traditional and contemporary interiors. 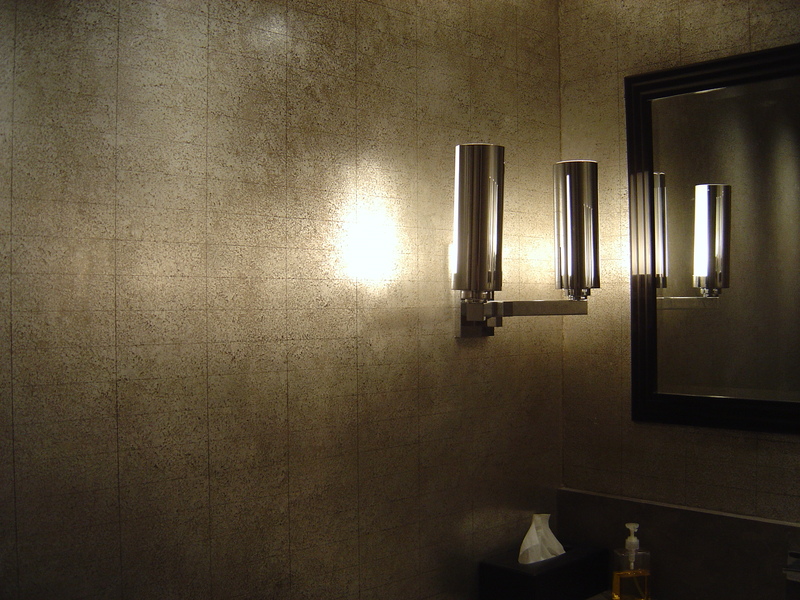 They can also illuminate dark corners like hallways and stairwells and turn poorly lit spaces into stunning features. 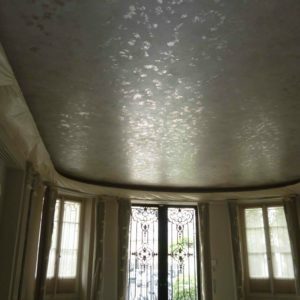 Nicola Thwaites Specialist Decorating – London UK – offers silver leaf and gold leaf for decorative gilding of classical mouldings, in addition to furniture, frames, and architectural features. Also available is less costly Dutch metal. This is an alloy of copper and zinc, which can also be used to create bespoke silvered effects. 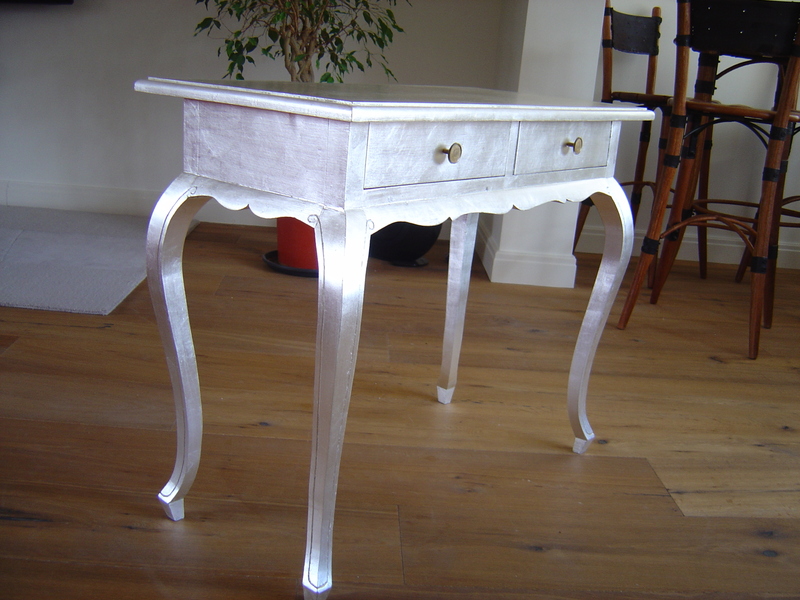 We can provide antiqued finishes and distressed silver leaf finishes for a vintage look. 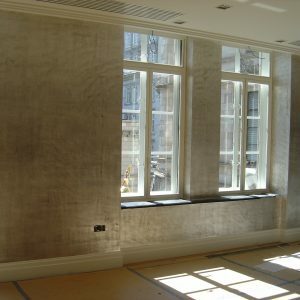 For modern interiors, we have a range of textured silver finishes, including hammered, brushed, and satin effects. A frosted effect, achieved by working with silver powder, can add magic and charm. Base coats of red and ochre create a warm tone in the final finish, while blue and umber lend a gunmetal or pewter hue. 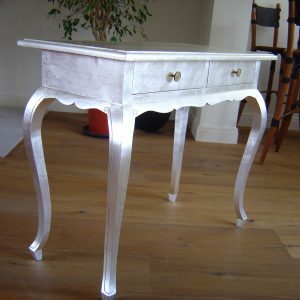 Silver paint finishes can also be varnished for durability. 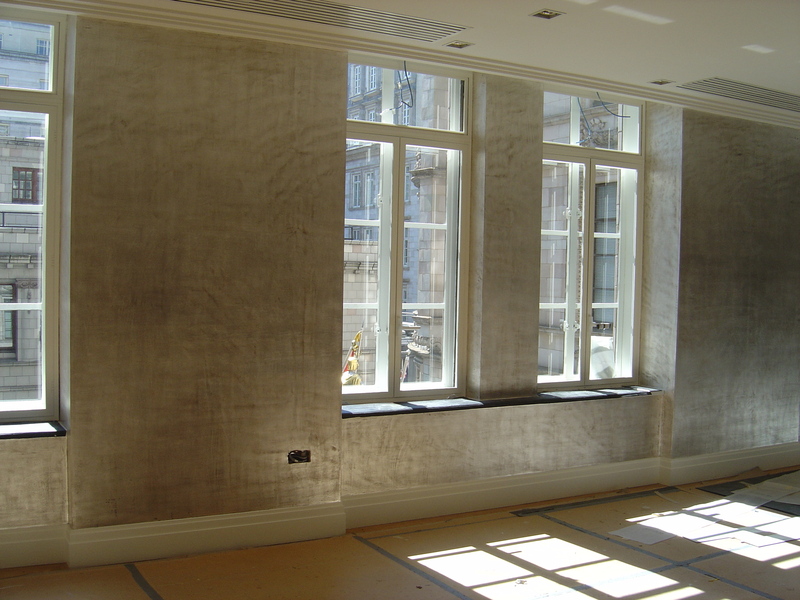 Our silver paint finishes and silver leaf gilding projects include a restaurant in Mayfair, a suite at the Savoy, and a stairwell in a Regent’s Park residence. 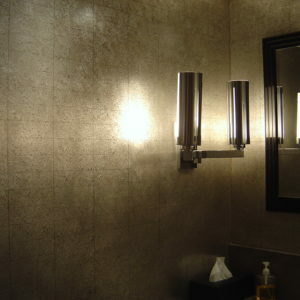 Visit Painted Finishes and Interiors to see samples. You can also find us at the British Institute of Interior Design (BIID), where we are a BIID Industry Partner of long standing. Nicola Thwaites Specialist Decorating is based in London and Sussex and work regionally and in Europe. Feel free to contact us to get feedback on your project.